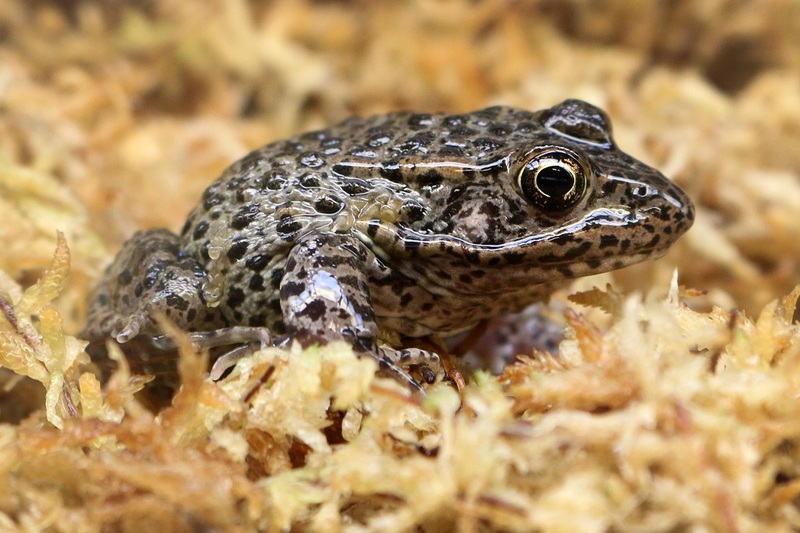 Working towards a ribbiting recovery: Rescuing the dusky gopher frog | Dallas ZooHoo! 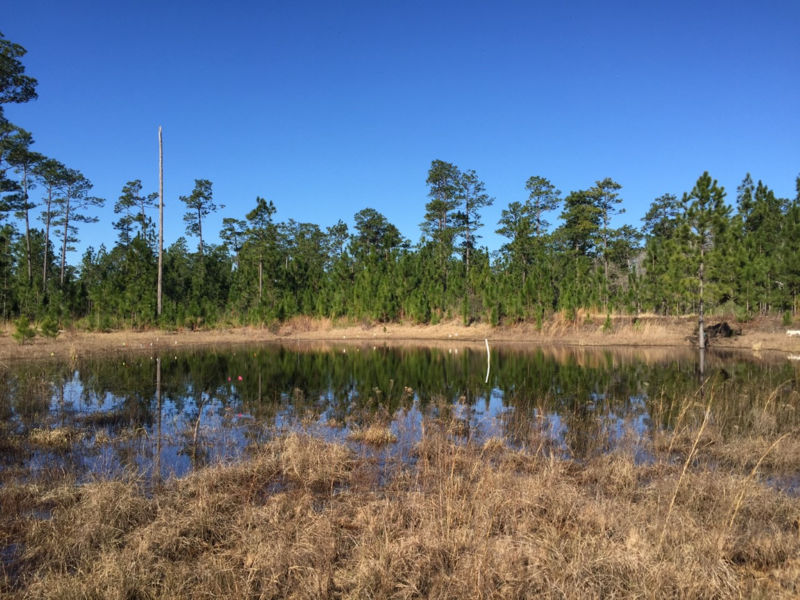 An additional pond created for the endangered dusky gopher frogs in DeSoto National Forest. It was nearly a year ago that Ruston Hartdegen, the Dallas Zoo’s curator of Herpetology, found himself driving deep into the pine woods of the DeSoto National Forest on a mission to save a species on its last leg – the dusky gopher frog. While the origional 180 tadpoles that Hartdegen picked up have now metamorphed into frogs, the Zoo’s work is not done yet. The dusky gopher frog is still considered critically endangered with populations endemic to only Glen’s Pond, Mike’s Pond, and McCoy’s Pond within the DeSoto National Forest in Mississippi. These spotted amphibians will remain in human care at the Zoo until the U.S. Fish and Wildlife Service has finished developing a full recovery plan for the species. Though the Zoo will retain a number of the frogs as part of the Species Survival Plan program, the U.S. Fish and Wildlife Service is working to identify suitable places for the experimental re-introduction of this species, possibly beginning in 2018. “The current remaining wild populations are very limited and under intense monitoring. Previous habitats where animals have been extirpated are not likely to recover in a short period of time,” said Hartdegen. 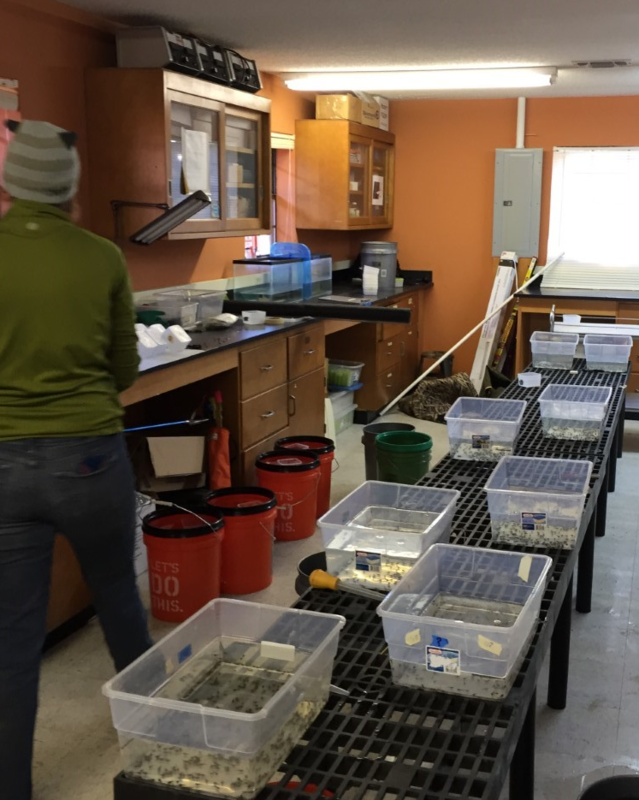 The tadpoles await transport in the research lab at DeSoto National Forest. the remote Mississippi coast to pick up more tadpoles – but transporting a critically endangered species is no easy task, even the second time around. The Zoo received four groups of thirty-two tadpoles – over 120 dusky gopher frogs in total. Each group of tadpoles comes from a separate egg mass, meaning that these groups are all of different parentage. In order to drive the tadpoles to the Zoo, these groups were each placed in five gallon buckets filled with water. Using an air pump, oxygen was run to each of the containers for the duration of the trip. 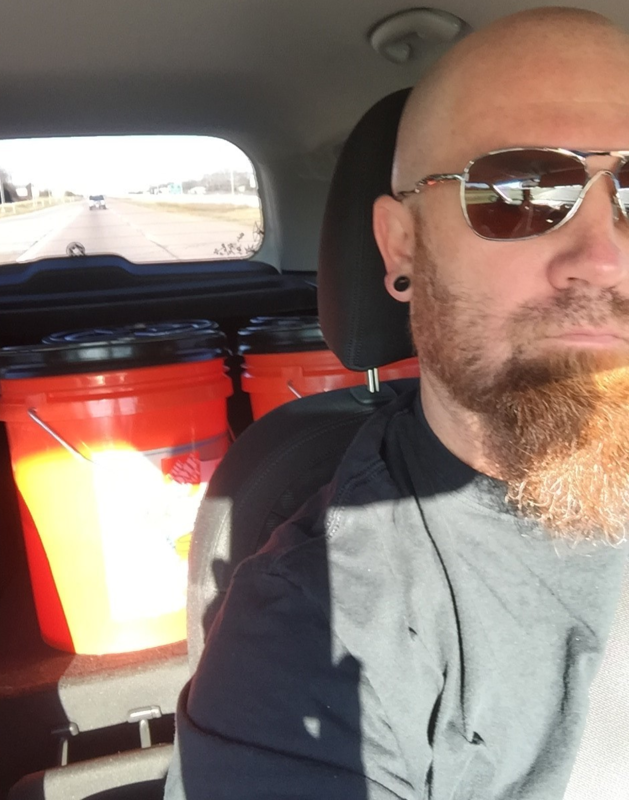 Lawrence snaps a selfie with the precious cargo en route to Dallas. breeding efforts while others may be released back into their native longleaf pine wetlands – an ecosystem that has been devastated by continued habitat loss. But conservation efforts shouldn’t start and end at the Zoo gates; there’s plenty that you can do at home. Check out these conservation tips from our Green Team that you can follow at home in order to help save the dusky gopher frog.